Listen to K & L Gates partner Tom Smith and Karl Schieneman, Legal Analytics Director at JurInnov, discuss questions every company should know the answers to about their records management practices. Tom Smith has practiced at K&L Gates since 1987 and is a partner in the firm’s Pittsburgh office. He is a contributing author in a PBI Press book called eDiscovery published in September, 2008. He concentrates his practice in the area of complex commercial litigation. He is a founding member of the firm’s e-Discovery Analysis and Technology (e-DAT) Group, and regularly counsels clients in matters involving complex records preservation and collection issues, litigation “holds,” e-discovery, and records management and retention policies. He also regularly speaks at national and regional conferences on records management and e-discovery issues. In this podcast we explain why the answers to the following questions must be answered by in-house attorneys: 1) Who is involved in establishing an E-Discovery ready records management program or process? 2) Does the company have records management policies? 3) What are the company’s procedures regarding record holds? Are certain employees assigned specific responsibilities regarding records holds? What responsibilities would they be? What is the best way to let company employees know about a record hold? 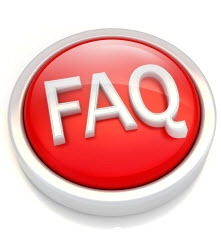 4) Does the company use any e-mail archiving, journaling and/or other system(s) that retains e-mail messages apart and beyond what individual users may retain them? 5) To what extent is the business use of portable electronic media (such as laptops, thumb drives, and discs) allowed, monitored, and/or limited by the company? 6) To what extent is the business use of instant messaging and text messaging allowed, monitored, and/or limited by the company? 7) To what extent is the business use of electronic bulletin boards, web logs, and social networking sites allowed, monitored, and/or limited by the company? 8 ) What “legacy” systems and media exist at the company that may still contain electronically-stored information? 9) What are the company’s policies and practices with regarding to the creation of, the restoration of data from, and the disposal or recycling of backup tapes? 10) Are any records being stored in off-site locations? What records management practices are being followed with regard to these company records in off-site locations? 11) Are any third parties responsible for managing records on behalf of the company? What records management practices are being followed with regard to these company records in the hands of third parties? 12) When an employee departs the company, what steps does the company take to ensure the proper management of records once managed by that departed employee? 13) When an acquisition is completed, is records management process put into place? Any suggestions? This is a useful podcast for in-house employees and lawyers who seek to minimize the potential pain from electronic discovery by taking some up front steps.